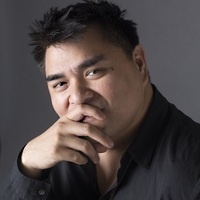 In 2011, Jose Antonio Vargas became America’s best-known undocumented immigrant when The New York Times Magazine published his story about his life in the United States after arriving from the Philippines in 1993 at the age of twelve. By coming out publicly as undocumented, he was risking everything he had built in the United States. In Dear America: Notes of an Undocumented Citizen, Vargas examines not only the facts of immigration but also the searing emotional reality of living for twenty-five years as a contributing member of a country that does not consider him one of its own. Jose Antonio Vargas is a Pulitzer Prize-winning journalist, an Emmy-nominated filmmaker, and a leading voice for the human rights of immigrants. He is the founder and CEO of Define American, the nation’s leading non-profit media and culture organization that fights injustice and anti-immigrant hate through the power of storytelling. He has worked as a reporter at The Washington Post, The Huffington Post, the San Francisco Chronicle, and other leading publications. The evening will be introduced by Valerie Twanmoh. Valerie Twanmoh has been the director of Catholic Charities’ Esperanza Center for the past 7 years. Prior to joining Esperanza, she was a trial attorney for over 20 years before joining the staff of U.S. Senator Barbara Mikulski as Projects Director and then Deputy State Director. Greedy Reads will have copies of the book for sale at a book signing following the program.